With a surprisingly diverse second-hand scene, Malmö has everything from niche thrift stores to sprawling flea markets. If you’re visiting in the summer, the best thing to do is look out for signs that say loppis – it’s the Swedish word for flea market and, during the warmer months, flea markets pop up everywhere, both in the cities and the surrounding countryside. If the sign is handwritten you’re in for a treat, because this is where the real gems are found. Kärleksgatan literally translates to Love Street, and the loving care that this shop puts into curating their offerings is obvious. Their motto, ‘Old is gold’ should tell you exactly how they feel about vintage clothing. This is the perfect place to discover platform shoes, killer hats, amazing sunglasses and, of course, plenty of great clothes. Founded in 1976, Mani Vintage has a great selection of gorgeous vintage for both men and women. You won’t find musty smelling clothes here; instead you’ll find quality and great items that, when you incorporate them into your wardrobe, will have people wondering just where you found that perfect jacket, skirt or pair of trousers. This very old-fashioned shop sells old hats – and racks to hang them on – as well as postcards, photo albums, faded Polaroid pictures, and all sorts of odd curiosities. It’s a bit like poking through grandma’s attic, which we all know is amazingly fun. 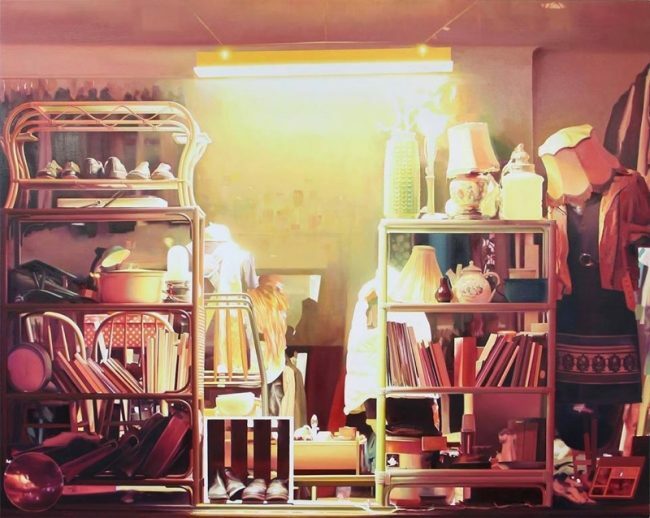 Sorgenfri Secondhand is messy and cluttered, with items spilling over one another, which just adds to the charm. With loads of carefully selected items, including lamps and vases, along with vintage posters and old maps, Butik Fabriken is a great place to pick up something unique for your home. They also carry new products created by local designers, so grab yourself an original up-and-comer before they make it big. Now that you’ve trolled your way through the thrift shops, take a few minutes for a fika, or perhaps dig into something a bit more hearty – Malmö arguably has the most exciting foodie scene in all of Sweden, and there are plenty of restaurants to choose from. Alternatively, you can stop by one of the city’s many thriving food markets and eat on the run. And, let’s face it, you’re going to need a lot of energy for your next round of separating the second-hand chaff from the vintage wheat. One of Malmö’s most popular outdoor markets, Drottningtorget is a food market during the week but, on Sundays, it turns into a giant flea market between early April and late September. Here you’ll find clothing, jewellery, electronics, prints, books, vinyl, ceramics – if you can imagine finding it at a flea market, you can probably find it here. Sopstationen means ‘landfill’ and here you can buy or sell whatever you want. 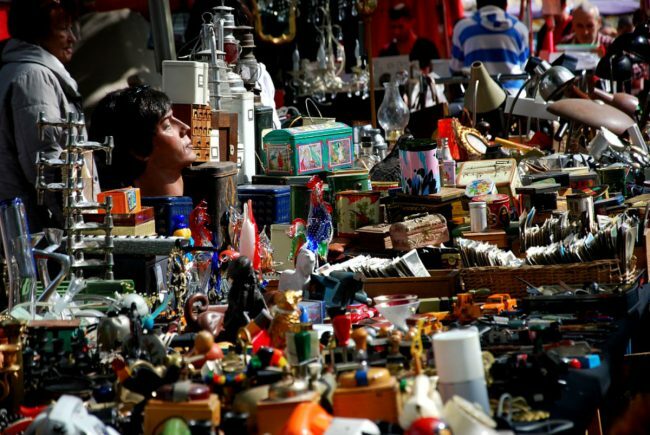 To use an old adage, one man’s trash is another man’s treasure, and that pretty much sums up this flea market. Out-of-print books? Check. A vintage trunk? Grab it while you can. Dried up comics that someone would love to add to their collection? Absolutely. If you’re the type who loves to dig, start your digging here. There’s big, there’s really big, and then there’s Trollets. 1300 square metres of cutlery, furniture, electronics, old typewriters, motorbikes, and pretty much anything else you could dream of. Few prices are on display, which means this is where you can barter and bargain to your heart’s content. Deals will be made, there is no doubt, so get ready to haggle. Use this handy map to find the best vintage, second hand, and thrift stores Malmö has to offer.